Your feet act as a platform for your entire body. Often muscle and joint pain in the back, hips, knees and ankles stems from incorrect alignment of the feet. Foot Balance 100% custom insoles support your feet properly in a neutral position (known as “Windlass”) aiding a balanced stance and correct body posture. Alfarsi is one of the best Foot Balance & Custom Insoles Suppliers in Oman, Muscat. Developed by medical professionals in collaboration with doctors, physiotherapists, podiatrists and professional athletes, Foot Balance insoles provide – natural foot support and alignment, customized comfort and perfect fit, enhanced performance and better overall foot health.  Delivered by approved medical professionals, Foot Balance provides a unique combination of computer aided foot analysis and 100% custom insoles delivering natural foot support and alignment. Contact us today to become a Foot Balance provider.